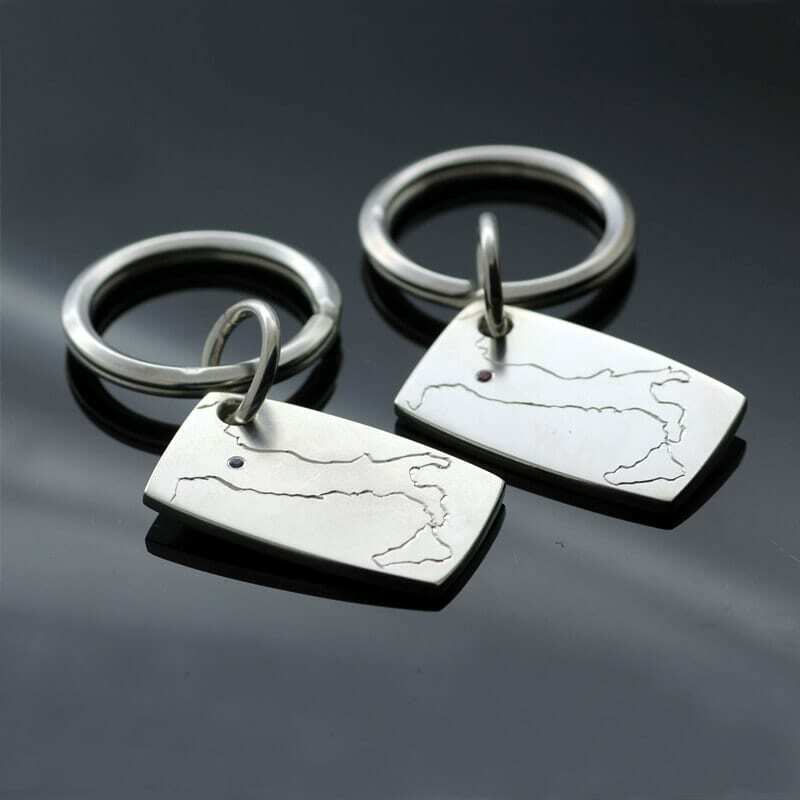 A pair of beautiful bespoke handcrafted solid Sterling Silver key rings made on commission for a client and featuring a intricate hand engraved map of Italy. 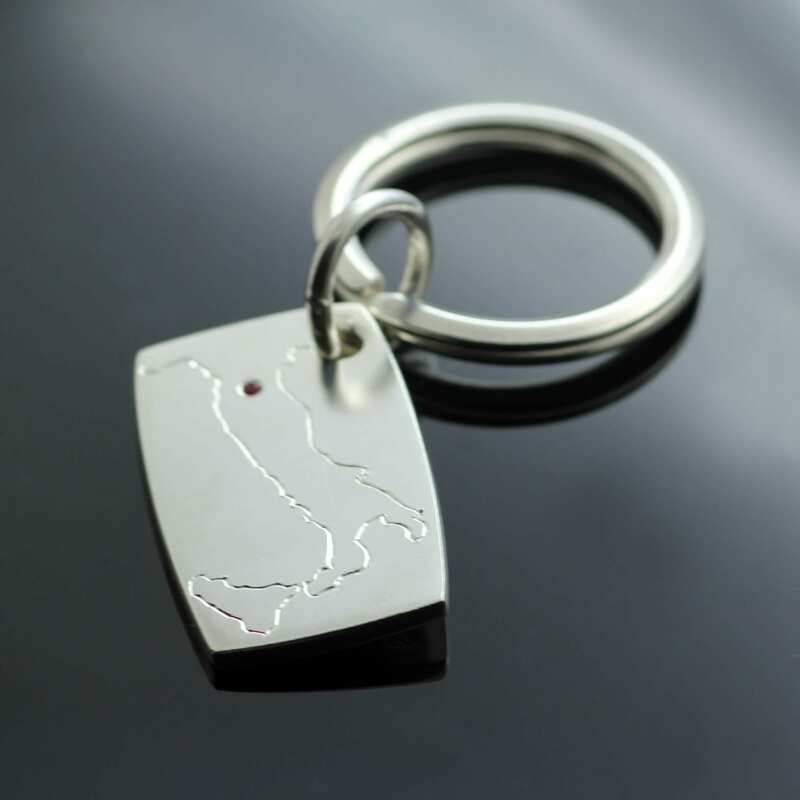 These lovely luxurious solid Sterling Silver fobs are crafted by Julian Stephens and feature Pink and Blue Sapphires, a single precious gemstone is precisely flush set as per our clients brief to mark the specific location of the client’s home town as a lovely personal finishing touch. 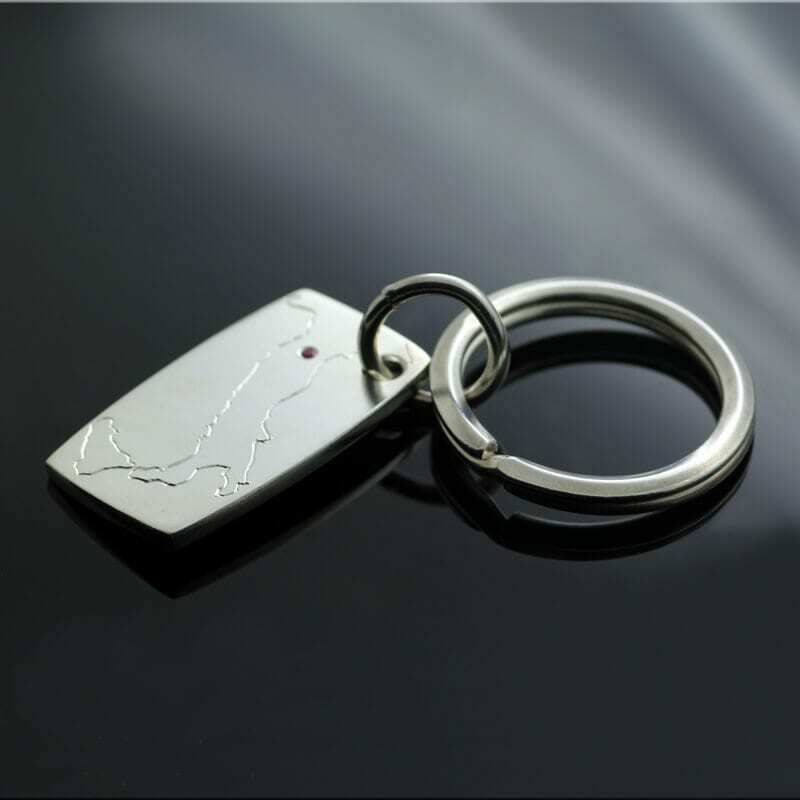 The chic and modern keyring designs are then finished with a high shine polish to the chic Silver.